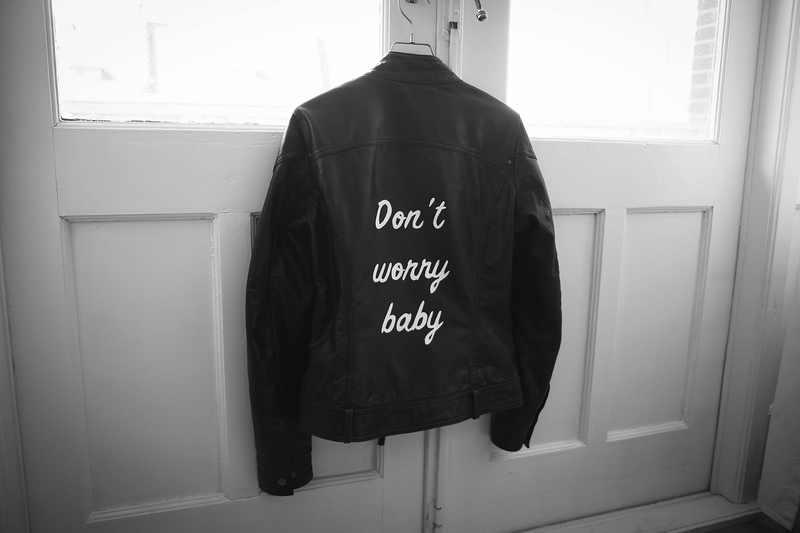 I Already showed you on Instagram my leather jacket and a lot of you were wondering where I got it from. Well actually this is my first leather jacket I ever bought (like 10 years ago). And I thought it was time to customize. So to give an answer, I did it by myself with leather paint. I bought leather paint by Angelus which I couldn't find in shops like Harrolds etc. First I made a stencil with a font from dafont.com. What I did wrong, I used a pen to put the contour of the letters on the jacket. But the ink you see through the leather paint. After adding several layers You don't see it anymore, but it's a thing to keep in mind! That's a great idea, turned out really nice!